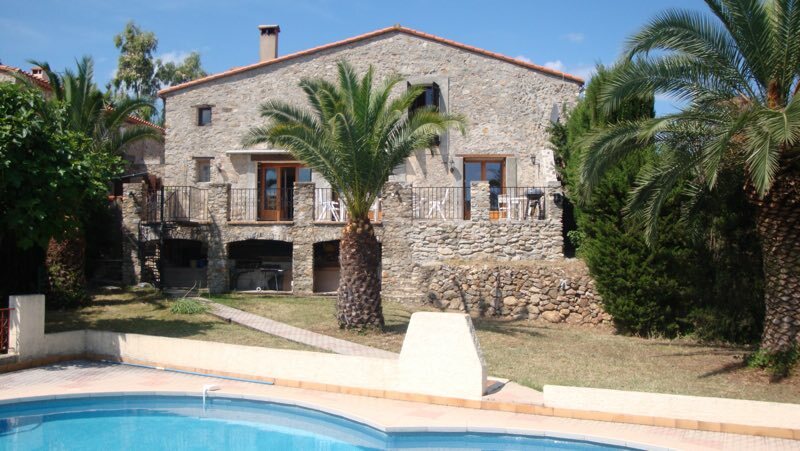 The Farmhouse enjoys the benefit of its own private swimming pool (11m x 7m). With a deep-end of approximately 1.75m and a shallow end of 1.20m, it is available from early-May until mid-late October each year. Situated in a location enjoying all-day sunshine, the pool is attended regularly to ensure perfect water quality. A range of sun beds, tables and chairs are available in the garden and pool surround. Palm trees in the garden provide areas of shade for those wishing to cover up for a while. The swimming pool is equipped with an infrared perimeter alarm, conforming to NF P 90 – 307 to provide added safety protection. Out of season the pool has a winter cover, conforming to NF P 90 – 308. 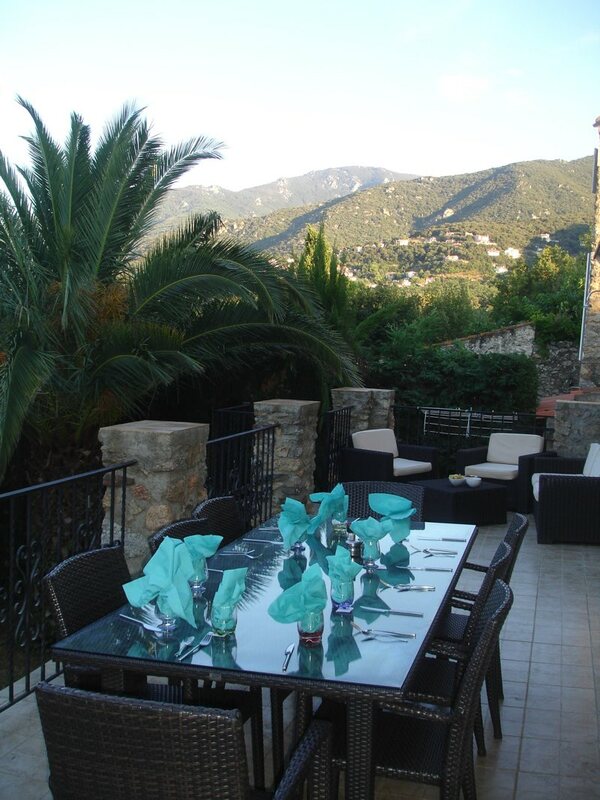 A large splendid sunny terrace facing south and east with views stretching to the Mediterranean and Mountains, complete with Rattan garden furniture and BBQ. 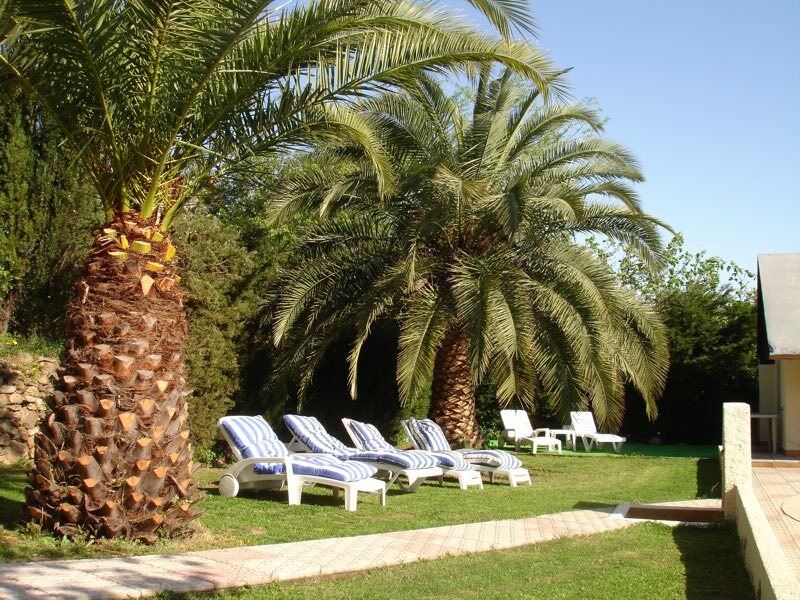 Directly overlooking the private garden and exclusive use swimming pool, it is perfect for eating al fresco and relaxing at the end of a summer day with a local aperitif and olives! 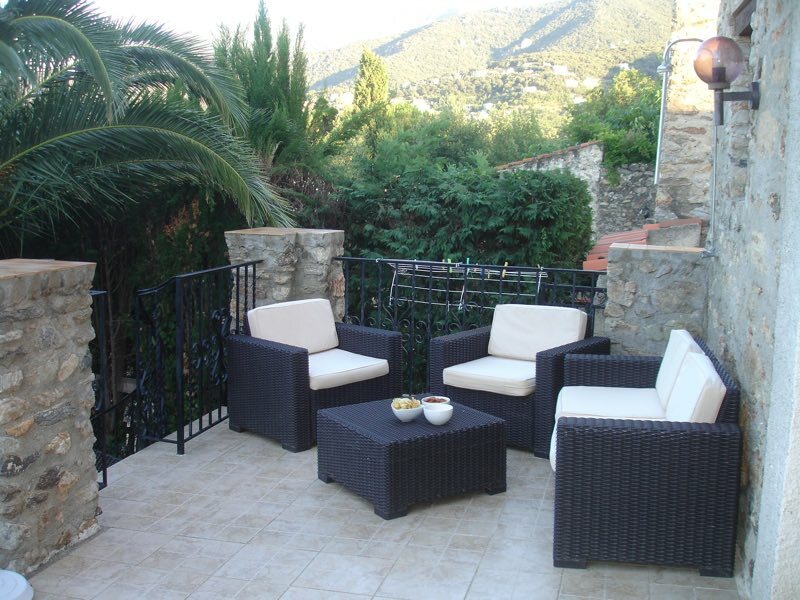 Access from the terrace via spiral staircase or stone steps to the garden and pool terraced area. Equipped with sun-beds, parasols, BBQ and garden furniture. Natural shade provided from a selection of fig and palm trees. Two outside showers. Ideal for large families. 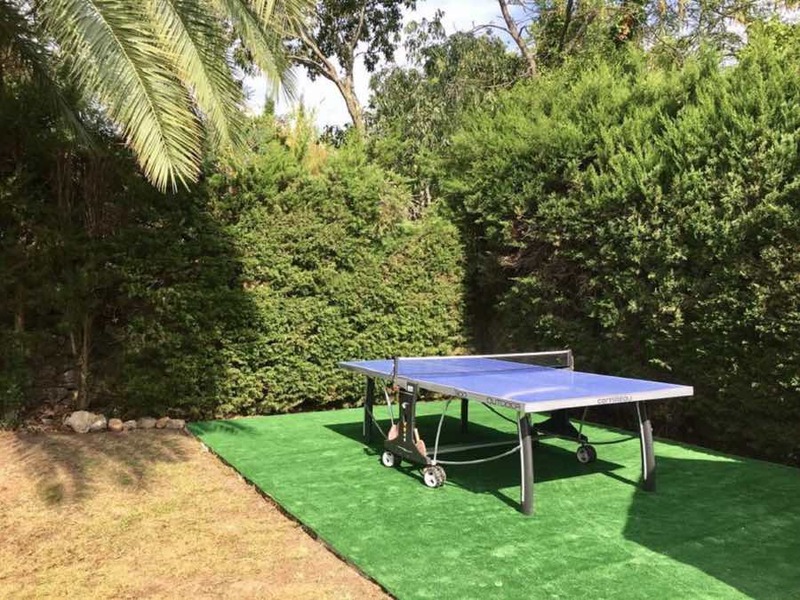 Astra Turf area with Table Tennis on request.